DescriptionThere are 31 copper faced blocks. 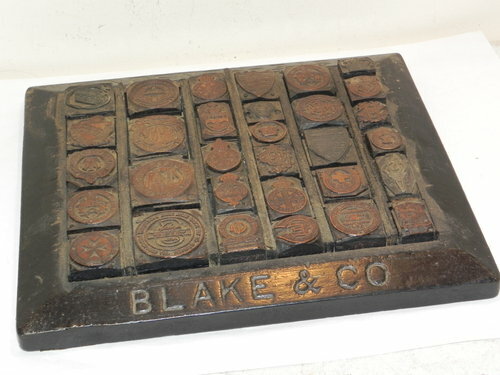 All set carefully divided in an iron frame measuring c. 7.5" inch square this is carved "Stephenson Blake & Co. The assortment of blocks ranges are from the 1930 / 40 period I believe and represent a number of organisations from the period. Superbly interesting, this is a wonderful, historical collectable that will not disappoint!. It is incredibly heavy and will be sent by courier. Date1930 ConditionAntique - See Pictures Price£ 395.00 Free UK Delivery - Overseas POA.